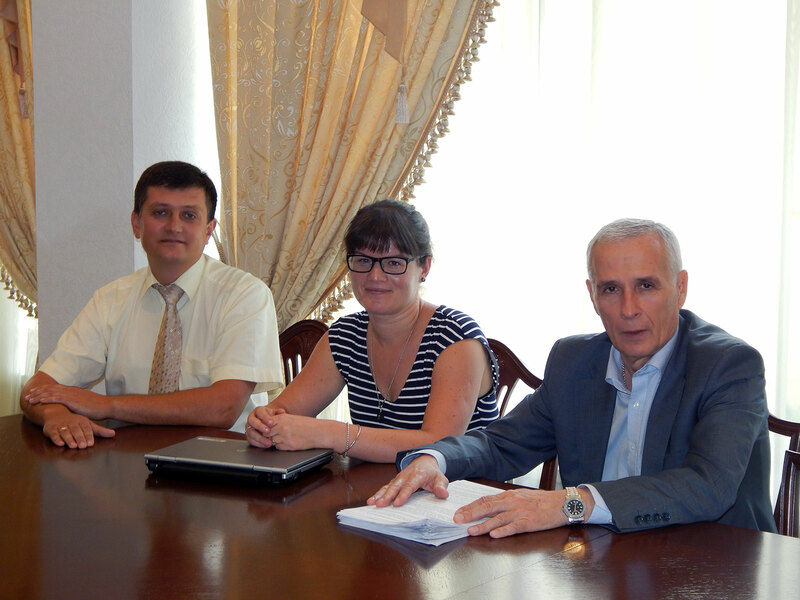 On September 24, 2015 a permanent adviser of Twinning project “Strengthening the capacity of official statistics” Iryna Bernstein visited with the working aim the National Academy of Statistics, Accounting and Auditing (NASAA). During the meeting with the rector of the Academy Oleksandr Osaulenko the results of the project and the participation of NASAA in reformation of Ukraine’s official statistics was discussed, particularly the reformation of educational and scientific component of training, retraining and advanced training of employees of the State Statistics Service of Ukraine. Twinning Project “Strengthening the capacity of official statistics” is funded by the European Union and implemented in cooperation with the Statistical Service of Denmark and the National Institute of Statistics and Economic Researches of France. The project is aimed at improving the Ukrainian macroeconomic statistics and business statistics through the coordination of activity and methodology of the State Statistics Service of Ukraine with the European Statistics Code of Practice, which sets standards for the production and dissemination of official statistics.